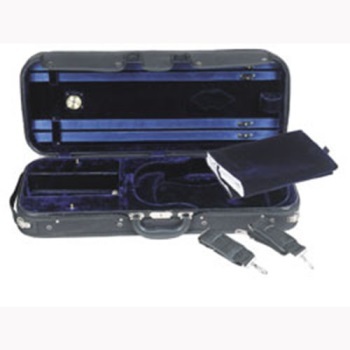 PC3002EX adjustable wide body viola case foam padded cordura cover. Water resistant cordura cover with rain flap. Velvet lining with suspension. Deluxe leather handle. Back-pack ready. Adjustable 15.5" - 17". Actual cover/inside color may vary from the picture, please inquire for more detail.